SacredLomi.com ~Sacred Lomi teaches Hawaiian Lomi Lomi Massage through workshops, retreats and DVDs. Tom & Donna are deeply committed to supporting healers and massage therapists to live from their hearts, heal themselves, thrive in their chosen practice and learn to walk a path of service while honoring their own journey. Integrating the principles and techniques of lomi lomi massage and ancient Hawaiian shamanic practices, they teach massage therapists how to hold this powerful, transformational space for their clients and for themselves. Their heart-centered commitment extends to all they do, including their dvd’s and soon-to-be-available home study courses. Sacred Lomi® was developed by Tom Cochran and Donna Jason and is rooted in the practice of ‘Temple Style’ Hawaiian lomi lomi Massage. Sacred Lomi weaves ancient practices with heart-centered and powerful teachings to create a complete system of hands-on bodywork that integrates the physical, emotional and energetic. ”In Sacred Lomi we embrace the integrated whole being by creating a space of unconditional love and acceptance. We invite the recipient to completely let go and receive. The flowing, circular runs nurture and embrace, clearing out the old patterns and awaken the divine in the physical being. Learn more about the ORIGINS of Sacred Lomi and the guiding PRINCIPLES of Sacred Lomi. States we are already approved in, or that we are automatically approved by because we are NCBTMB providers are: California, Florida, Illinois, Louisiana, Nevada, North Carolina and Texas. We may automatically be approved in your State as well. Please check with us to find out. 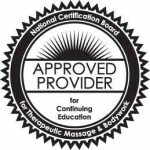 Sacred Lomi: Hawaiian Temple Bodywork is approved by the National Certification Board for Therapeutic Massage and Bodywork as a Continuing Education Approved Provider. Students will learn: all of the fundamental lomi lomi runs on the back and front of the body; the Seven Shamanic Principles of Huna; conscious stretching; self care for the healer; shamanic movement; ho’oponopono, exercises in presence and self awareness; techniques for staying in balance while maintaining a service oriented life and career. Students practice and receive lomi lomi each day, allowing them to learn and experience for themselves the aloha, beauty and transformational power of this work. Movement is the natural rhythm of the universe. When we stop moving — physically, emotionally or spiritually — parts of our being become dormant. As we move or allow those parts of ourself to be touched, we reconnect with, heal and remember who we are. The group space in the workshop offers a beautiful and healing environment where healers and therapists as well as those interested in the healing arts, can seek out feedback, mirrors and support and allow themselves to let go of old patterning and recieve inspiration from their core and from their guides.